Is LinkedIn top dog when it comes to social selling? The numbers don’t lie: a staggering 80% of B2B social leads come from LinkedIn alone. Recent research also notes that LinkedIn is by far the best social network lead generation, converting three times better than the likes of Twitter or Facebook. And so LinkedIn’s 610 million professionals is a potential goldmine for sales reps who know how to navigate the platform. But just like every other network, social selling on LinkedIn requires some serious attention to detail. In this guide, we’ll highlight what it takes for sales reps to be successful on LinkedIn and close more deals. If there’s a social network where salespeople need to have a presence, it’s LinkedIn. Translation? LinkedIn is all about business. Unlike Twitter or Facebook where reps might need to tread lightly when pitching prospects, social selling on LinkedIn goes hand in hand with the platform’s best practices. And if nothing else, LinkedIn is a prime place to flex your industry influence. This includes company content and milestones that you might not typically post on your personal social feeds. With a rapidly-growing user base and the bulk of companies already on board, having a presence yourself is a no-brainer. Think about it like this: if you aren’t fighting the good fight to educate prospects and leads, chances are a competitor already is. Of course, just because LinkedIn is built for business doesn’t mean you can go around spamming sales messages and pitching people to death. To help you get the hang of social selling on LinkedIn, we’ve broken down eight tips below. Whether you’re starting from scratch or already have a LinkedIn profile, making more connections is a smart first step. The more connections you have, the more likely you are to show up as a related connection yourself when it comes time to conduct sales outreach. And on a related note, Copper can actually help you uncover LinkedIn users directly from your inbox. This can save you some serious time searching and serves as a reminder of some business relationships you might have been sleeping on. LinkedIn’s native search makes it easy to find users and companies by name, too. Additionally, you can hone your searches by location or specific keywords (“SaaS,” “marketing,” etc). And if you’re looking to conduct cold outreach as part of social selling on LinkedIn, take advantage of the “People” tab on any given company page. This will reveal LinkedIn users and their specific roles who might be relevant outreach candidates. As noted, LinkedIn discourages users from adding each other at random. To stay in line with their best practices, you should provide some sort of context to your connections in your connection note. You don’t need to write a novel here or worry about pitching here. Simply tack on a sentence or two that highlights why you want to connect and provide a personal touch in the process. InMail is a great place to engage with leads and prospects on LinkedIn. However, look at InMail as more akin to Facebook Messenger instead of your email inbox. 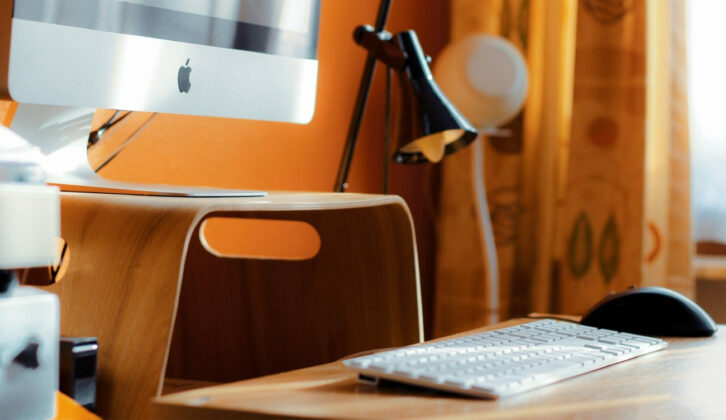 InMail is better suited for asking quick questions versus presenting a full-blown sales pitch. That said, InMail is valuable as it sends users a LinkedIn and email notification, a double-whammy for grabbing their attention. If you do decide to use InMail or don’t have access to someone’s email address, consider “breaking up” your pitch. For example, you can adapt some of our sales prospecting templates line-by-line to get a conversation going. Remember: InMail is more suited for bite-sized back-and-forth rather than a wall of text. As noted in our guide to social selling on Facebook, sharing company content is a great way to increase your business’ reach and actively drive more traffic to your website. For the sake of social selling on LinkedIn, however, sharing company content is especially important for the sake of nurturing. After all, your latest blog post or case study is perfect for educating followers who might be on the fence about your product. If possible, make a point to share video content which is being pushed hard by LinkedIn themselves right now. Anything you can do to stay in the good graces of a social algorithm is a plus! There’s more to LinkedIn than just your main feed. There are tons of industry-specific communities that can help you tap into new potential customers on LinkedIn. A quick keyword search is all it takes to find relevant Groups for social selling. In most B2B groups, you’ll find folks searching for answers to specific questions or scrambling for product recommendations. These represent awesome opportunities to share a piece of content or make a connection. As always, it pays to come across as a helping hand versus just another salesperson. The bar for being “active” on LinkedIn is relatively low. If you’re a busy salesperson (aren’t we all? ), this is good news. For example, a quick “like” or comment on a colleague’s post is enough to help highlight your presence to new prospects and give your company content a boost. As your individual activity shows up in the feeds of others, taking the time to consistently engage with content can help your profile pop up more often. Don’t worry about being a “thought leader” or dropping knowledge bombs on people. 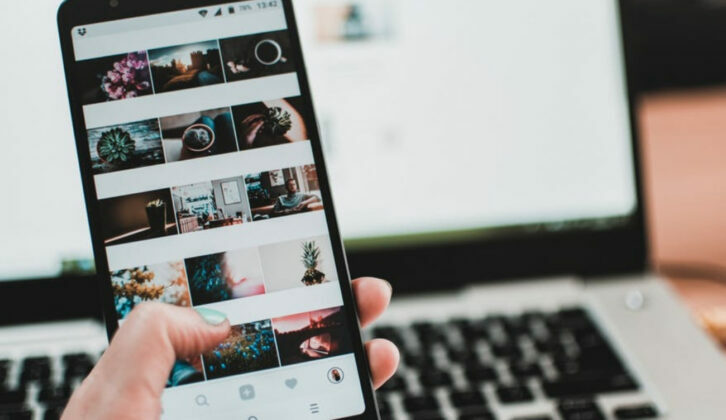 Regularly posting company content along with “liking” and occasional commenting on posts is more than enough to signal yourself as an active player in your industry. Social selling on LinkedIn sometimes means going beyond the platform itself. LinkedIn serves as a fantastic channel to supplement your current nurturing and prospecting efforts. For example, you can connect with leads that you’re currently in contact with via email. Instead of making occasional touchpoints in your inbox, you can consistently hit them with updates and pitches passively through your LinkedIn activity. 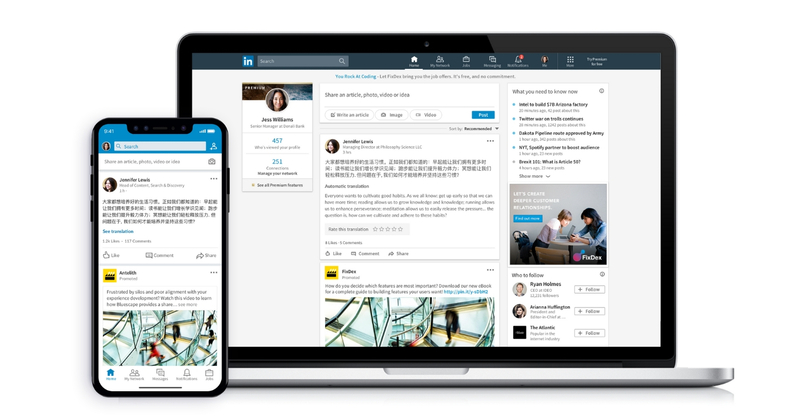 And on the flip side, you can take add your current LinkedIn connections to your sales CRM to better organize your social media relationships. Given how quickly social media moves in general, having a hub to keep track of your interactions ensures that none of your conversations fall by the wayside. We talk a lot about “looking the part” while social selling and LinkedIn is no exception. As a professional social network, there’s a certain expectation to have a polished profile. For example, you’re much more likely to see a professional headshot versus a spring break selfie as someone’s profile picture. If your profile ticks the boxes above, you can approach leads and prospects knowing that you look like a million bucks. In turn, they’ll know that you’re legit and not just a spammer. How is your sales team leveraging LinkedIn? There are plenty of platforms for social selling, but LinkedIn should be the top priority for anyone in the B2B space. The ability to discover and approach leads directly through LinkedIn is invaluable for sales reps. By maintaining an active presence via content and advice, you can build those ever-so-important business relationships. And with the help of tools like Copper, you can use your LinkedIn presence to build better relationships and uncover new sales opportunities in the future.